While I can't imagine any socialites wearing the very revealing Versace gowns featured on the runway, I do suspect they'll all be talking about it. Donatella Versace gave us skin. And lots of it. It wasn't vulgar but actually quite mesmerizing. It was all about the showing off and embracing of the curves of a woman she told Style.com. In fact, there wasn't a single straight line in the collection. The color scheme was limited to bold reds, blues, black and white but the range of looks went across the board. Jumpsuits, minidresses, and of course, the eye-popping gowns. 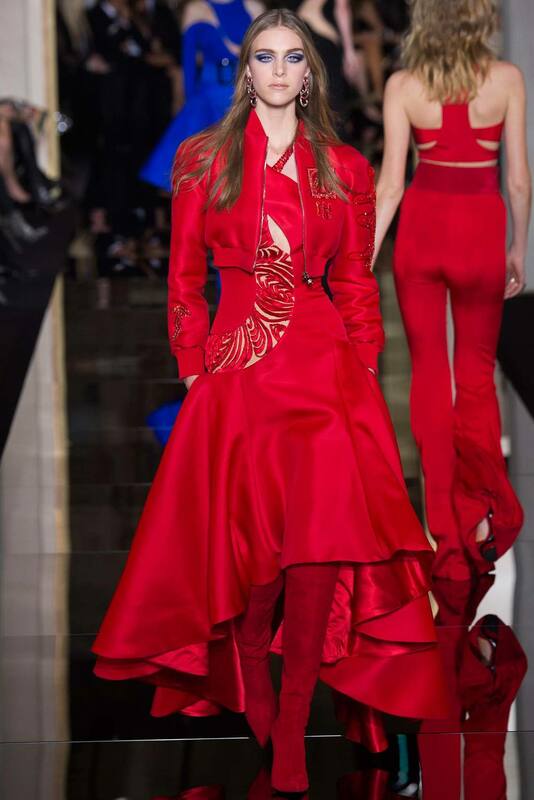 Donatella also gave us something new for Versace, volume. She sent out these terrifically voluminous dresses with pockets - a new silhouette for Versace.